You know how it is, when you have to wait for something that seems a long way off, and you are really looking forward to it, and then one day it finally arrives and its like “Yippee!”. 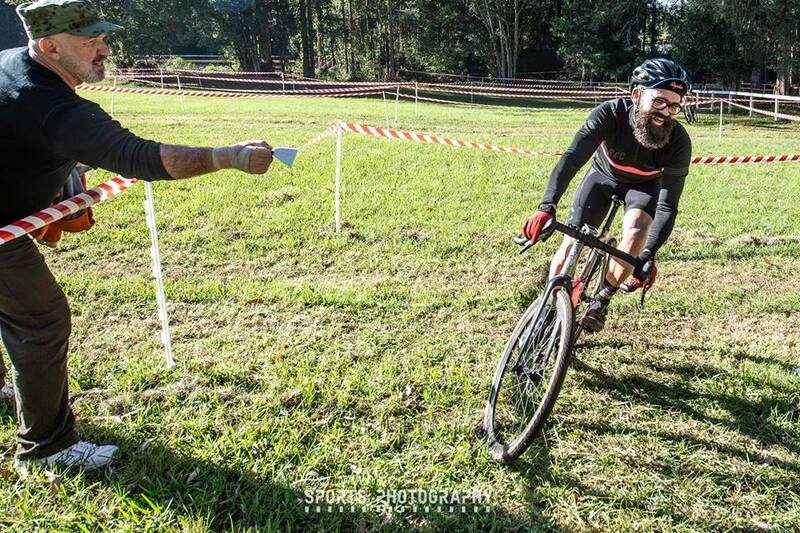 That’s how it feels now that CX season is underway, although as you might wonder about my mental stability, at around 20 mins into a 45 minute race when your heart rate is at 90% and you realise you are only half way, you do have to wonder why? 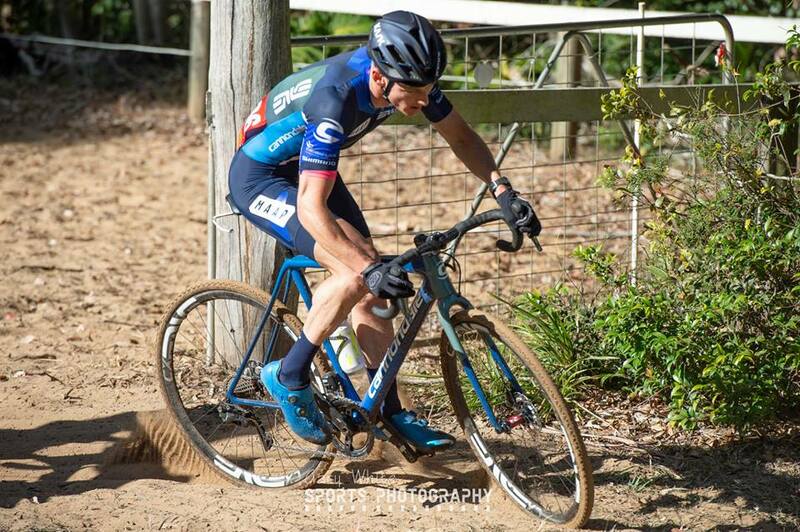 Well the last two weeks I’ve been lucky enough to jump on a Cyclocross bike and it really is a great way to get some fitness and have some fun riding bikes. 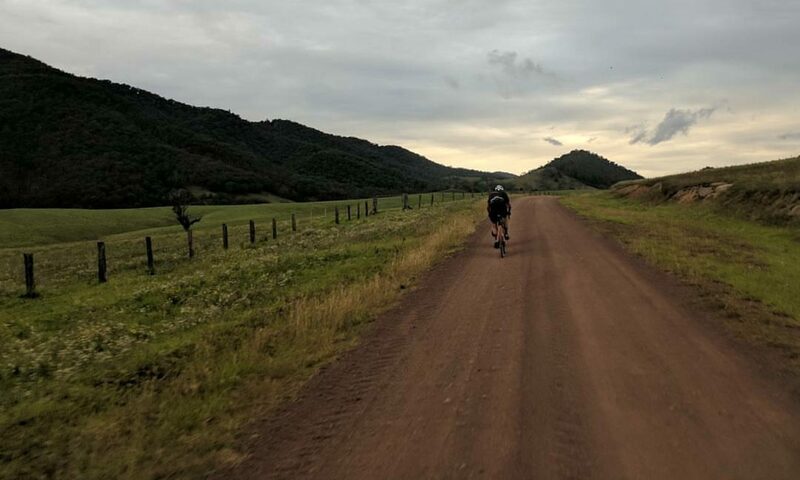 This week it was the first round of a 4 race series hosted by Central Coast Cycling Club and it has all the hallmarks of being a great series. A reasonable turnout, lets face it, I’d love to see it double or triple in size. The course was great fun with just enough climbing and some pretty technical little single trail descents that would be challenging enough on a Mountain bike. There was a great long sandy section and plenty of barriers to practice your dismounts and re-mounts. 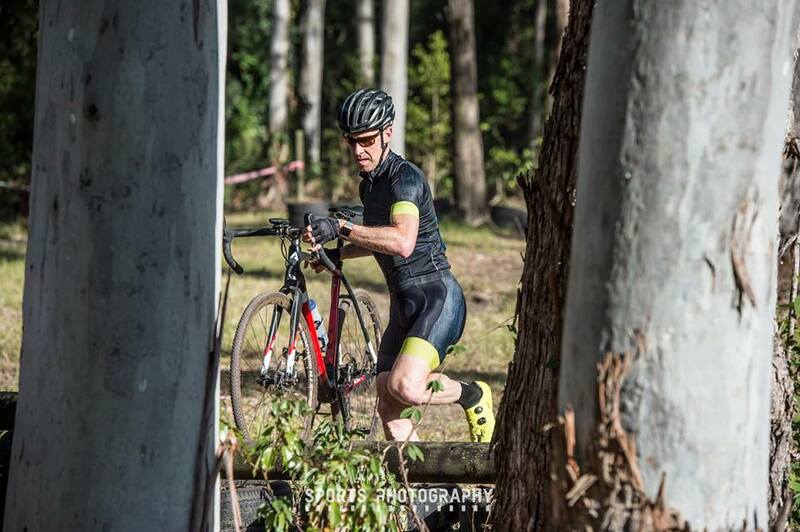 Our Masters “A” grade was a pretty tight affair with two riders taking off like scalded cats from the start line. As I couldn’t quite match their speed, I just found my threshold and went about keeping that pace for the next 40 minutes. Fellow NSCC rider Dave O’Connell was never far behind and was unlucky to drop a chain on the last lap but that left me to soft pedal over the line for 3rd place. There were some pretty cool sponsors there, a local craft brewer (Six Strings Brewery), a local coffee Roaster (Natomi Coffee) and a new sports product on trial called Athletes Gel. James who is as sports physiologist has developed this product as a pre and post workout remedy for sore muscles. Backed by a lot of Science, its a completely new take on the old Dencorub/Deep Heat/Tiger Balm idea. Only this one really works, just a 5 minute massage with James special recipe and the legs already began to feel rejuvenated. I’m looking forward to trying this out over a period of time to see if it really can help with recovery. Love this shot of Garry Millburn exiting the sand pit with the sand cascading up off the back tyre.